Lead the world in Automobile Recycling. Since Kaiho Industry was established in 1969, in about half a century we achieved automobile recycling business beyond just dismantling. Our business has changed and evolved with time, and now we aim to establish a global standardized recycling society. Kaiho Industry is not only seeking profits, we contribute to the conservation of the global environment through the recirculation of industrial resources. The Earth circulates as a human lives with blood circulation, the Earth also lives with circulating everything. Realization of a circular economy society. This is the mission given to us living on this planet. We cannot say that our planet lasts its beauty from now on. However, if we can create “ a circular society”, our beautiful planet will last its beauty forever. We deliver used auto parts to various countries around the world. Clients are purchasing more used car parts from Kaiho Industry because the "KRA" systems are total management system for automobile recycling. We build a system that can realize fair and reliable deals all over the world by developing and integrating managing car purchasing, dismantling, parts stock management and sales. "Arterial industry" makes products. "Venous industry" recirculates the products. With those two kinds of industry, the world is similar to a human body with its arteries and veins. 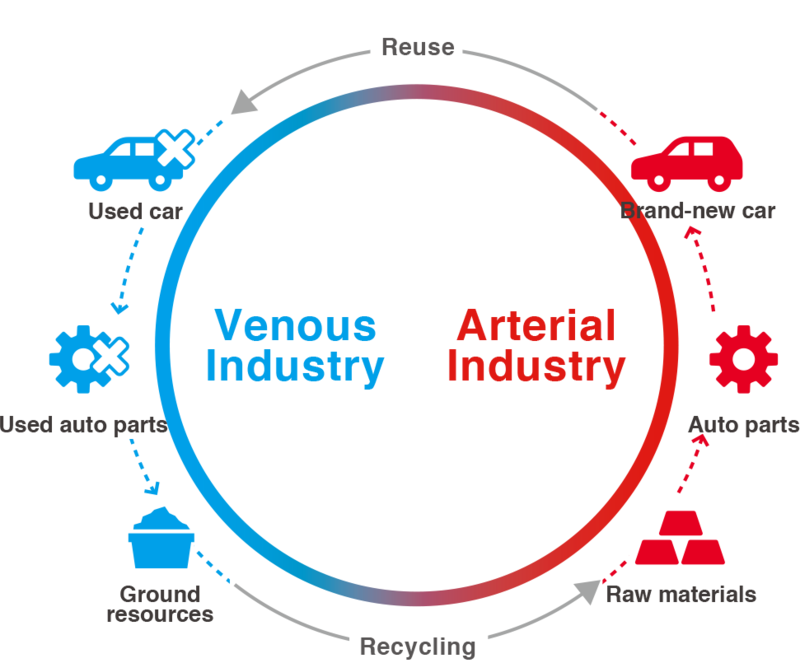 In our field venous industry is "efficient recycling-Atoshimatsu". Without venous (recirculation) industries the world health cannot be maintained. Kaiho Industry will expand its circle in the global environment and economy as a pioneer in venous industry. 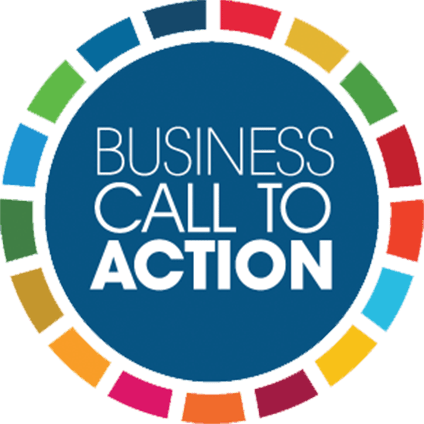 “Business Call to Action (BCtA)” is a global effort where private companies, governments and aid agencies are participating for Sustainable Development Goals (SDGs) advocated by the United Nations. 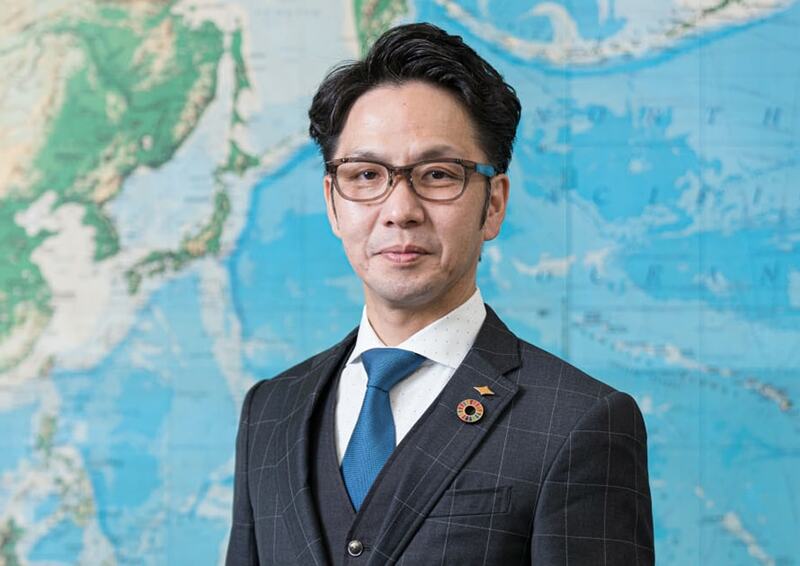 UNDP approved the Kaiho Industry`s accession to the BCtA, as the 11th Japanese member and the first small to medium sized company in that venous industry. 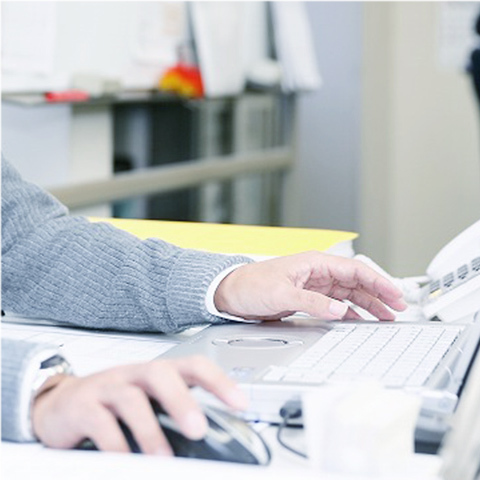 Our business was evaluated as compatible with commercial success and sustainable development. 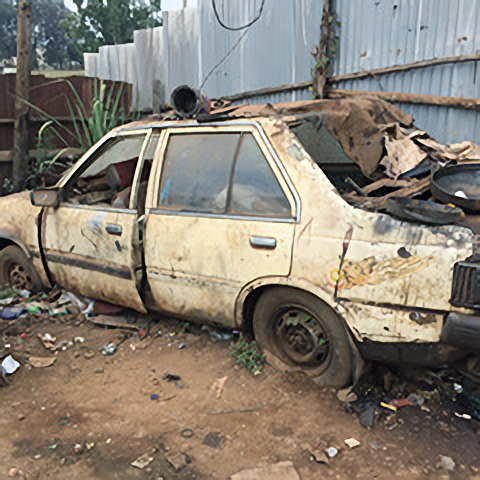 Today, efficient car recycling has become a problem in developing countries. There are many places where old vehicles are abandoned as garbage around cities. We can solve such problems with our know-how. 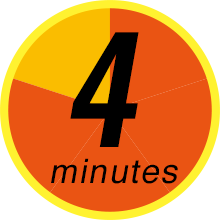 Currently, we are running projects in countries as Brazil, India, Indonesia, and Kenya. 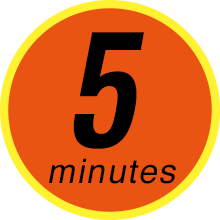 We also establish recycling centers with public or private partnerships and the launch used auto parts auctions. From a dismantler to an automobile recycler, then to a global company with a business objective to create a recycling-oriented society on a global scale. 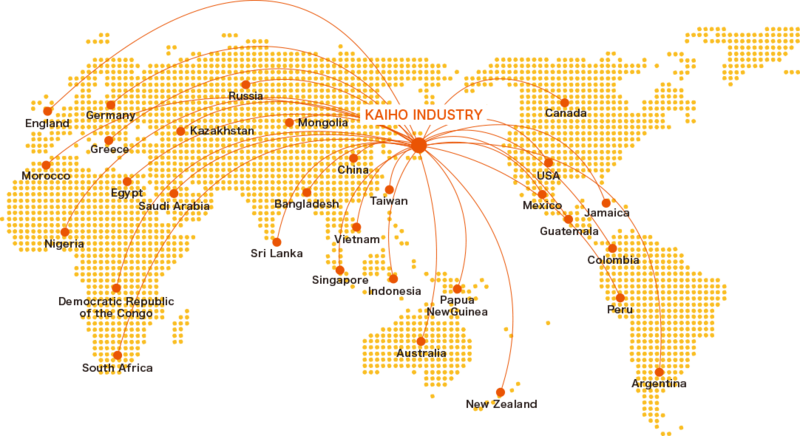 Kaiho Industry has evolved without forgetting the frontier spirit that is always in the company over its 50 years history. This is motivated by the commitment to become "the bow of a ship". Our industry will not change unless our spearheads changed. Unless someone does something, the global environment crisis will happen. Kaiho Industry is always appreciating the industries that raise us, and the Earth, and we try to show our gratitude with a selfless mind. Today, we receive a lot of offers from many countries over the seven seas. We struggle to be up to their expectation in solving their serious problems. Our challenge will continue to make earth clean for our children’s future. “KRA system” is an automobile recycling total management networking system developed by Kaiho Industry to manage every process from vehicle purchase to overseas sale while maintaining traceability of vehicles quality. 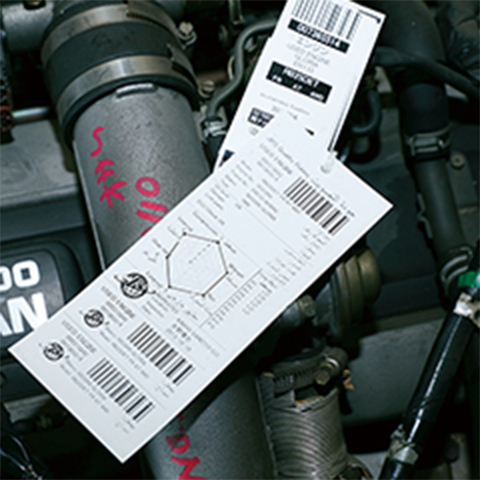 Using "KRA system", not only Kaiho Industry but also all automobile recycling companies can get fair trade. It is a system that is indispensable for overseas expansion of venous industries. Used automobiles must be dismantled properly. Otherwise, it can be a major cause of environmental pollution. 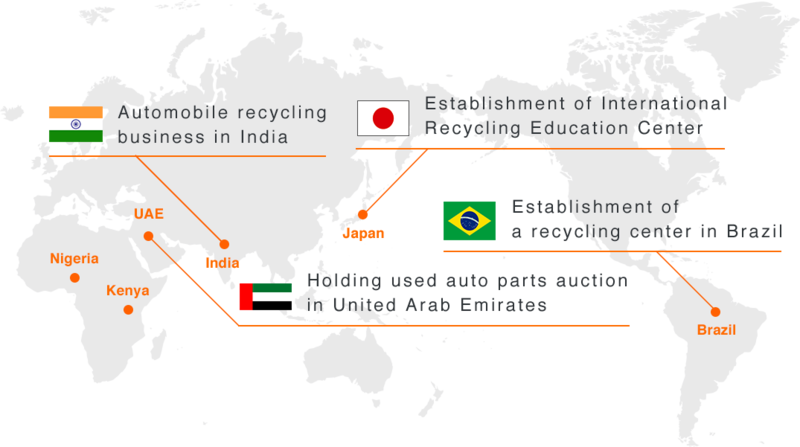 We build International Recycling Education Center (IREC), to disseminate "Correct car recycling methods", and train both Japanese and International staff. We recruit trainers from all over the world, and also focus on human resource development by conveying the Japanese good spiritual culture while transferring the technical know-how. IREC is currently opened in Japan and Brazil. 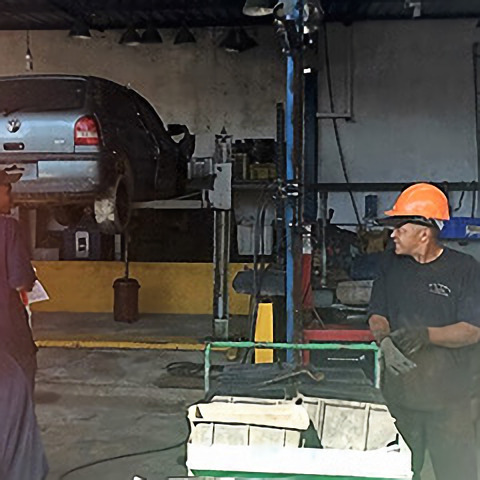 Kaiho Industry established a pilot plant and training center, which conducts automobile recycling business, in the Centro Federal de Educacao Tecnologica (CEFET) in Minas Gerais State, Brazil. In India, where many Japanese cars run, used auto parts are also in huge demand. Kaiho Industry aims for "construction of recycling factories overseas" to improve recycling system of more countries. 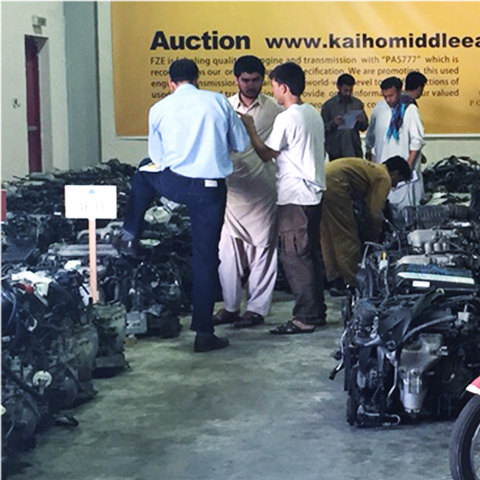 We established an auction venue for used auto parts in United Arab Emirates (UAE). We issue used engine performance evaluation standard named "JRS (PAS 777)" to express the quality of engines and hold auctions in UAE. The concept is "fair and open auction, where everyone can participate". 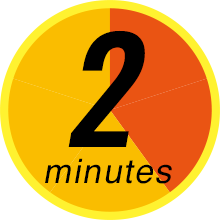 Such auction is the world's first attempt in our industry. Used engine performance evaluation standard "JRS (PAS 777)"
In 2010, we created our own standard named "JRS (Japan Reuse Standard)" to evaluate the quality of used engines of automobiles. In 2013, based on this JRS, the used engine evaluation standard named "PAS 777" was officially issued by the British Standards Institute as a publicly available specification. Since the quality of used engines evaluated by this standard is clear, customers around the world can purchase without worrying. 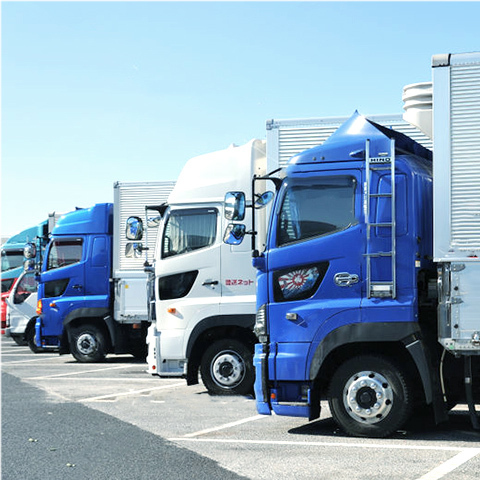 In the past, it was necessary for customers to send a truck to the auction venue. With Kaiho Truck Net Auction, we do not need to ship the vehicle. 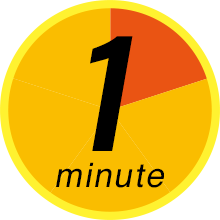 Customers can sell through our online auction site, by posting the car pictures and/or the video of engine running. 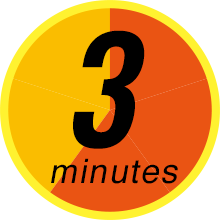 If you would like to inquire from abroad, click here. © KAIHO INDUSTRY CO., LTD. All Rights Reserved.